November 30, 2018 — You're considering attending the University of Wyoming to pursue a bachelor's degree in Energy Resource Management and Development but are undecided on which concentration is a good fit. Sam Stein, our student ambassador, provides tips on making the best selection for you. 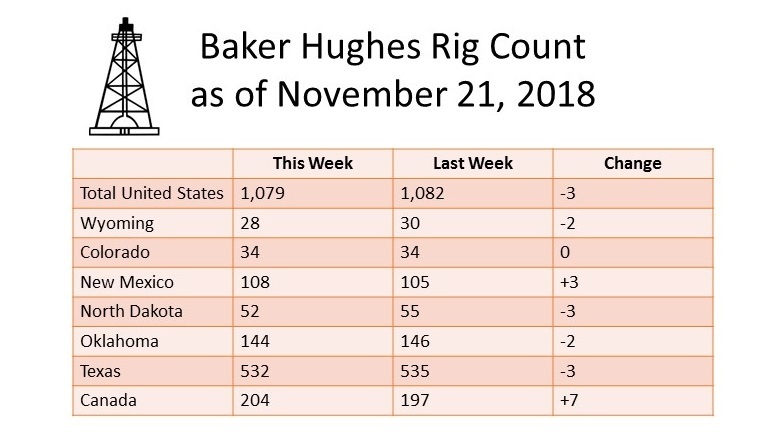 November 21, 2018 — Baker Hughes reports the number of active drilling rigs increased by 4 in the U.S. and Canada for November 21. 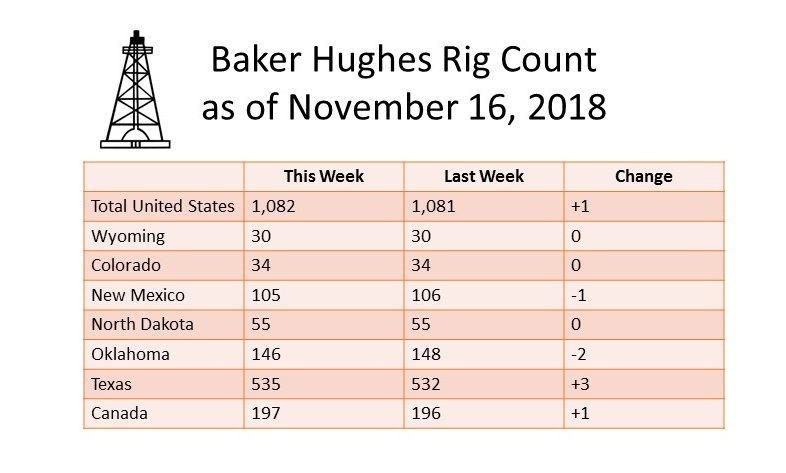 November 16, 2018 — Baker Hughes reports the number of active drilling rigs increased by 2 in the U.S. and Canada for November 16. November 15, 2018 — Join the School of Energy Resources on Showcase Saturday to learn more about the Energy Resource Management and Development Program. 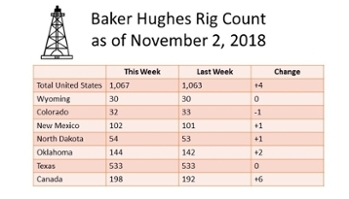 November 9, 2018 — Baker Hughes reports that the number of active drilling rigs increased on November 9, 2018. November 6, 2018 — Sam Stein talks to students and professors on their thoughts about the Energy Law and Policy Conference. November 4, 2018 — Richard Middleton, will be speaking on carbon capture and storage this Friday, November 9th. 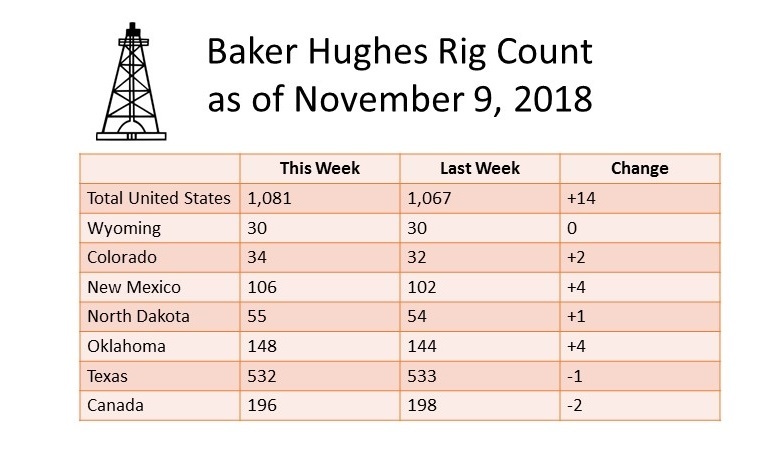 November 2, 2018 — Baker Hughes reports the number of active drilling rigs increased by 10 in the U.S. and Canada for November 2.